Today we have an awesome success story to share with you, from Taha and Adam down in Florida. These pierced and tattooed punk rock lovebirds met each other on Zoosk back in 2008, got hitched in April of 2009, and just celebrated their 9-month wedding anniversary a few days ago! I want to say thank you to Zoosk. I met my husband Adam through this great site! He sent me a wink, and I replied. Within a few days, we were messaging and chatting. We both had given up on the dating scene — both of us were divorced and it left us kind of jaded. But we knew right away there was a connection with each other. And when he drove almost 2 hours to meet me, and we finally “saw” each other, we knew we were meant to be together. 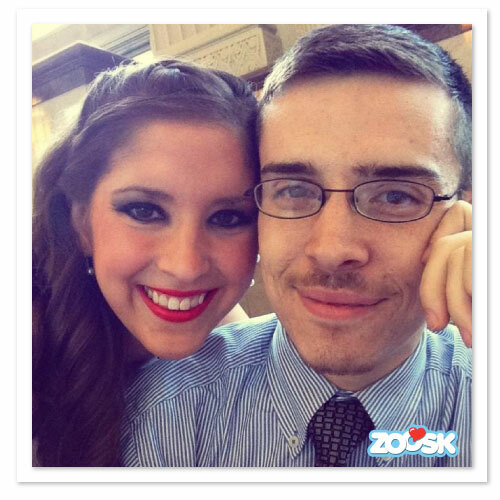 It has been a whirlwind of laughter, love and happiness since we’ve met and we thank Zoosk! Plus, we are not typical “dating site” people. Tattoos, piercings and punk rock/metal music can be hard to match-up. Zoosk gives everyone a forum and a way to put themselves out there! 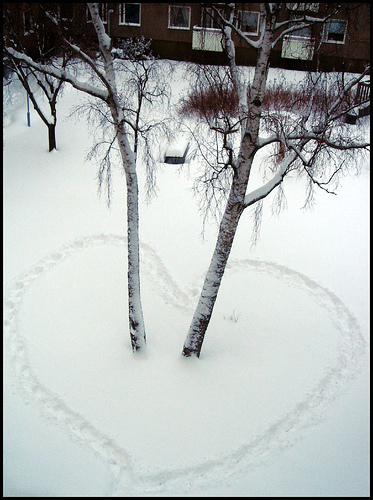 Without Zoosk, we would have never met, and I would have missed the greatest love of my life. Adam and I were married on April 25th, 2009. Everyday since has been spectacular. The best part is, we are so compatible, that our wedding was perfectly fitting! The bride wore fishnets and combat boots, while the groom wore Chucks! It was a perfect day. I believe that if we could find each other on Zoosk, the chances are pretty good that others will too. Zoosk, THANK YOU. Taha contributes her success on Zoosk to the fact that “Zoosk gives everyone a forum and a way to put themselves out there.” We are thrilled you think so, Taha, and we couldn’t agree more with your assessment. Zoosk is a tool that everyone and anyone can use. We aren’t a dating site for one specific sort of person; we’re a dating site for everyone. We want you to custom tailor your Zoosk experience to uniquely fit who you are. The easy-to-use nature of our product and the simplicity of our design reflects our goal of promoting individuality and making Zoosk accessible for everyone. As for Taha and Adam, we could not be more happy for them! Congratulations to Taha and Adam! We wish you all the best. We’re so thrilled to know we’ve played a part in helping the two of you find one another. If you have your own Zoosk success story to share, send it to us with a photo of you and your loved one to success [at] zoosk [dot] com and if we showcase your story we’ll send you an online gift card as a token of our congratulations. Happy Zoosking! Congratulations to Zoosk Couple Deanna and Matt from Fort Hood, Texas!